Yesterday was Hello Thursday - the day each month when new Cricut cartridges are released. I haven't been keeping up with all of the cartridge releases here on the blog. When they started to come out every week (digital cartridges) it became too overwhelming to try to keep up. You should be sure to register on the Cricut.com site and subscribe to the newsletters if you want to get email notifications about new cartridges. 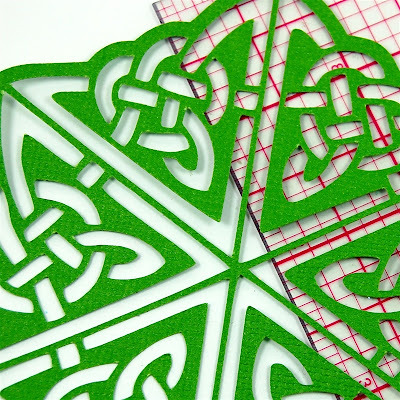 You'll also find information and projects on the Official Cricut Blog. Of course, the Hello Thursday bloggers, my friends Joy (Obsessed With Scrapbooking) and Melanie (Courtney Lane Designs) will be showing lots of great projects made with these cartridges. You can find the Hello Thursday page HERE. The new cartridges are already in the Cricut Craftroom. I checked but the update for the Design Studio isn't up yet - I'm not sure if the current Gypsy update includes these cartridges. (All of the bold red words in this post are "clickable" to go to the sites mentioned). This is a seasonal cartridge with a limited number of images. They are very pretty but I already have lots of similar images on other cartridges. This cartridge does have a cut for the cute paper strawberries that have been popular for a while and a basket to put them in. This cartridge coordinates with chipboard products sold at Hobby Lobby. This is a great idea - I remember how long it took me to figure out the exact shapes for some of the Michael's flower shaped chipboard books to create files for them. I won't be getting this one since we don't have Hobby Lobby in my area so I don't have any need for it. I am sure this will be very popular since people have been asking for more "grown up" dolls for quite a while. It's not a cartridge that I have a lot of use for right now so I don't think I'll be getting this one. I also don't care for the style and the lack of noses and mouths on these dolls! Now before you get to thinking that I am sounding very negative about this release, I have to say that the other two cartridges do appeal to me - a lot! This is a cartridge with images that we haven't seen before, great fonts and a very nice monogram system. I was able to quickly create a screen shot in the Craftroom of my monogram in a pretty frame. There are options for left, right and center initials so you will be able to make beautiful etched glass items and monogram note cards with this cartridge. This is an Imagine Pattern Cartridge. There are twenty patterned papers and some sheets of tags with four additional projects. The color palette appeals to me - teal, blue, gray, purple - and the designs are attractive. I used it to make the screen shot at the top of this post. I still have a problem with buying 20 sheets of digital paper that I can't recolor for $40 - it is so much more expensive than the typical digital kits that I buy and I can use them in more ways with other programs...still, I do like this cartridge. Maybe I'll be able to find it for a better price in a few months. So that's my take on this week's offerings - what do you think? 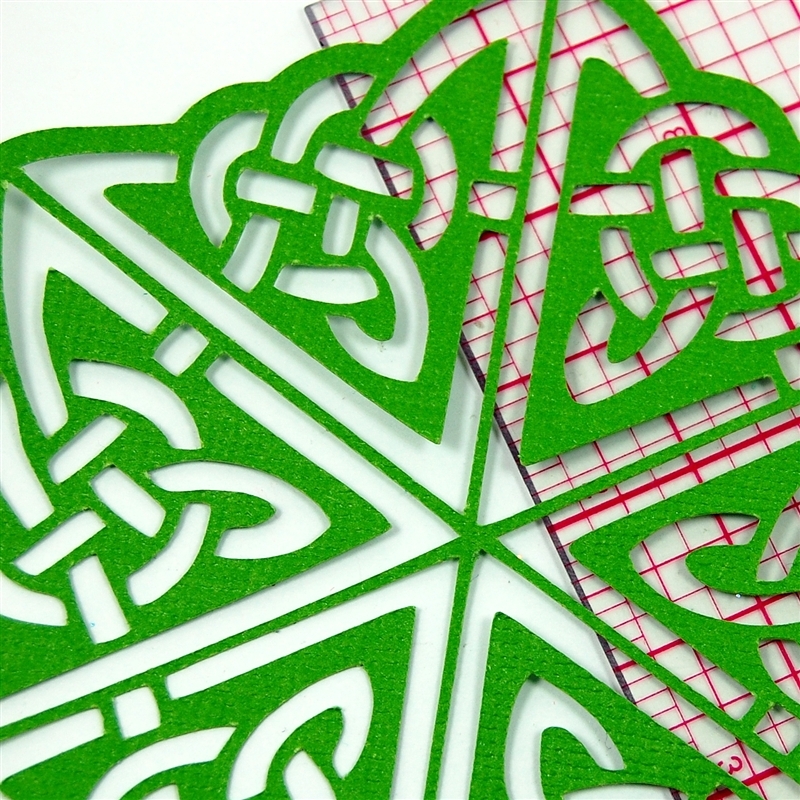 Here is a sneak peek at my St. Patrick's Day design. I'll be posting the card I made with it tomorrow. 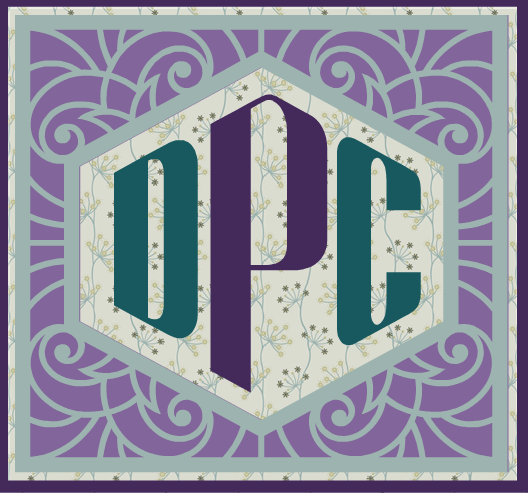 I created it in the Silhouette software, starting from a free design from the Dover sampler (but making a few of changes to make it "cuttable"at a small size). This design is only about 3 1/2 x 4 inches and you can see how tiny and thin some of the lines are. 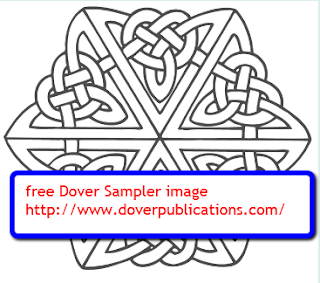 If you aren't on the Dover Sampler email list, you should be. They have great sample images every week that you can download and use for all sorts of projects. Some of the files are SVGs and some are regular clip art. You can sign up for the Dover Sampler here. How will you be spending St. Patrick's Day? It is a "major holiday" here in the Boston area so there will be lots of parades and parties. You might like The Cricut Machine, Cutting Bug or Cricut Direct all .com When you sign-up U can get some really great deals even better than on some e-bay or nextag sites Oh & when they have theri 20% off You'll be surprise @ the discount some even 14.99 or 19.99(I got snow days for that $ and Rosettes for 24.99 on sales of course! Oh forgot 2 ask U, Have U been over 2 LETTERING DELIGHTS.COM lately?? They have some really nice Mum day's freebies, and AWESOME Price 4 some of their other Great digital items!! Go over & SEE<(*o*)> You'll enjoy! Not too excited about the latest Cricut carts on this release either, except maybe the Teen Scene one - but I think I'll wait too - maybe Peachy Keen can come up with face stamps for the seemingly narrower face shapes WITH noses and mouths on these dolls. I'm so glad I wasn't the only one bothered by the absence of the other facial parts LOL! Bunny Candy Holders Turn Three! Nick Kelsh Photo Tip Site - give it a try!